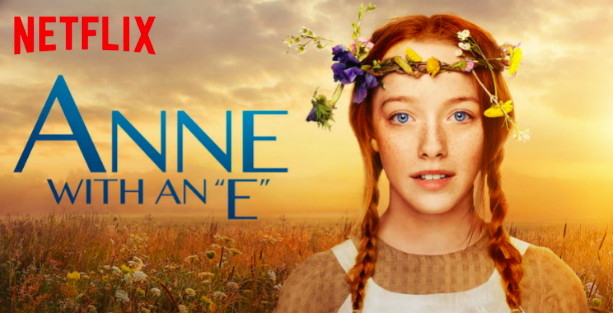 Anne With an E is an excellent Canadian drama television series based on the 1908 novel Anne of Green Gables by Lucy Maud Montgomery, and adapted by Emmy Award-winning writer and producer Moira Walley-Beckett. It airs on CBC in Canada, and elsewhere in the world it is available for streaming on Netflix. The first season consists of seven episodes. Season 2 premiered on Netflix on July 6, 2018, and will premiere on CBC on September 23, 2018. The story takes place in the late 19th century, when brother and sister Matthew and Marilla Cuthbert decide to take on an orphan boy to help out around their ancestral farm of Green Gables, on the outskirts of the town of Avonlea, on Prince Edward Island. When Matthew goes to pick the child up at the railway station, he finds not a boy, but a high-spirited and talkative girl, Anne Shirley. At first, the Cuthberts are inclined to send her back, particularly after Marilla's brooch goes missing, and Anne, in despair, runs away. Reconciled and settled in her new home and school, Anne once again displays boundless enthusiasm which is nevertheless easily turned into despair when things go wrong, which they often do. Slowly, her ebullient nature wins over those around her. This version of Anne is much grittier and more dramatic than previous incarnations of the story. Also, in this version, especially in Season 2, there are gay people! In fact, episode seven is all about a Queer Soirée. The series shows what life for LGBTQ people might have been like for several of the characters in 19th century Canada. Click here for a great article about the gay aspect of the series from Indie Wire. Watch the scene below featuring Amybeth McNulty as Anne and Cory Gruter-Andrew as Cole discussing the pain of being "different." The entire series is well worth watching. I watched some of the first season and it certainly has a different spin from the usual portrayal. What do you mean early gay people, I thought homosexuality was invented in the sixties?